If you haven’t experienced motion sickness, it doesn’t mean you never will – it’s possible that you’re just yet to be subjected to conditions that your body doesn’t like. That’s why it’s important to be prepared with these simple tips, and know what to do if they don’t work! The jury’s still out on a couple of these suggestions, but if you HAVE experienced motion sickness while on a boat (or underwater), you’ll know that anything from a legit remedy to fabled folklore is worth trying! Don’t drink and dive. Obviously, it would be foolish and dangerous to not be completely sober when you dive, and the same goes for a hangover. 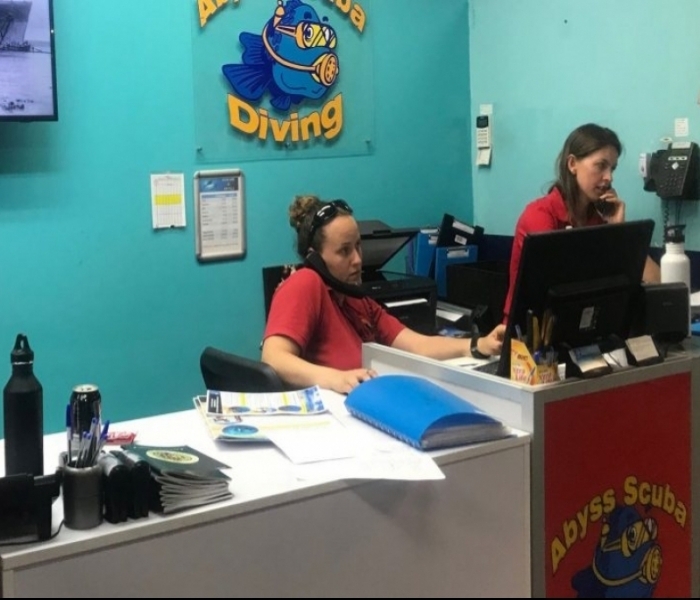 You’ll be dehydrated, fatigued, possibly nauseous, and all these factors will not only contribute to motion sickness but will increase the risks involved with diving. Try to avoid medicating against motion sickness. 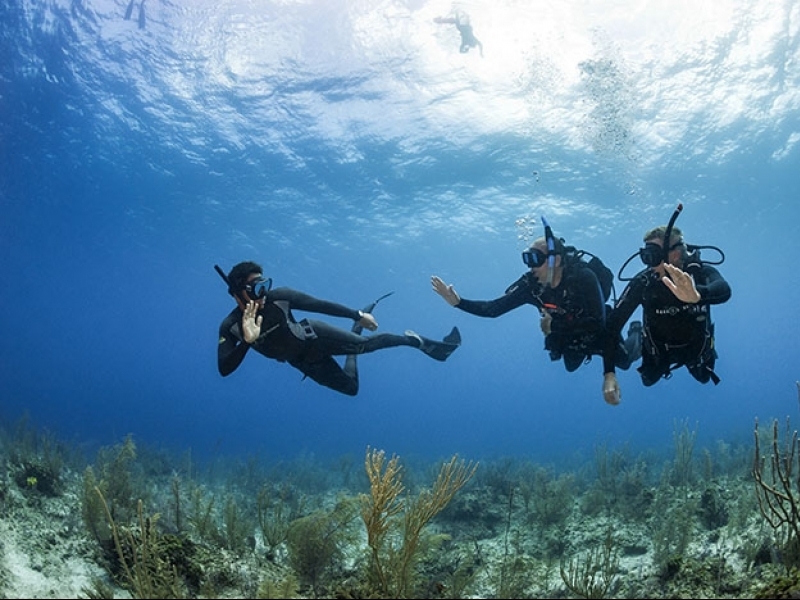 Although tempting and seemingly the easiest option, anti-nausea medications can have side effects that may affect your alertness, making the dive too dangerous. If you must medicate, be sure to speak with your doctor first and trial the medication before diving to ensure you don’t suffer the side effects. Have faith in more unconventional methods. Anti-nausea bracelets like “Sea-Bands” use acupressure and are drug-free, making them a safe option. Sceptical? Think of the placebo effect – have a little faith and it might just work! Other natural options include ginger or even Coca-Cola – Coke contains phosphoric acid (additive 338) which is an ingredient in anti-nausea medications. Don’t skip meals. Opinions on this vary, but a little bit of bland food on your stomach is likely to help you feel better. Don’t eat a huge amount, and avoid acidic or greasy foods. Get rid of the gunk! Clean out those ears before diving to give your inner ear balance mechanism a better chance of working. Move away from other sickies. As soon as someone else starts feeding the fish, move as far away from them as possible! If you’re like me and a sympathetic vomiter, the sight and smell of someone heaving is going to make you sick quicker than anything else! Finally, recognise the signs if preventative measures don’t work. Paleness, dizziness, sweaty palms, headache, burping, excessive production of saliva… familiarise yourself with the symptoms so you can head to the edge of the boat as soon as you feel the onset of any of these – and PLEASE make sure the wind is at your back! To regulate or not to regulate? “mixed messages” sent to your brain are also thought to be the cause of underwater motion sickness, with neutral buoyancy and your mask distorting clues being given to your ears and eyes by the environment. If you find the need to vomit during the dive, there’s the option to keep your regulator in or take it out to let ‘er rip. I’d love to get your thoughts on this one, as puking underwater is pretty much one of my worst fears. Apparently, both methods can be successful – anyone with the unfortunate experience wants to share?